Opening of Photo Exhibit "The 68 Million Girls at Risk"
Aissata M.B. 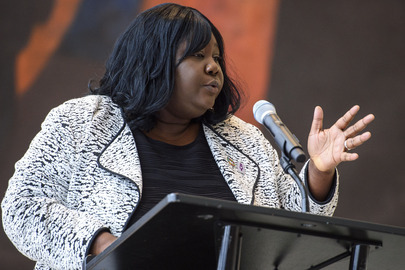 Camara, FGM Survivor, Activist and Executive Vice President of the non-profit "There is No Limit Foundation", speaks at the opening of the photo exhibit "The 68 Million Girls at Risk", on the occasion of the International Day of Zero Tolerance for Female Genital Mutilation. Ms Camara was a victim of female genital mutilation when she was 11 years old.